September 7, 2017, work in progress, we started the animation process with a great Afghan team. Some images very soon ! My name is Zafar Paiman, I was born in Kabul. I am archeologist. Thanks to a scholarship, I came to France to study. I live in Paris. I started to excavate in Afghanistan, mainly Kabul and its region, since 2003. The sites are Khwaja Safa, Tepe Narenj , Qol-e-Tut and Kunjakaï, 22km west of Kabul. 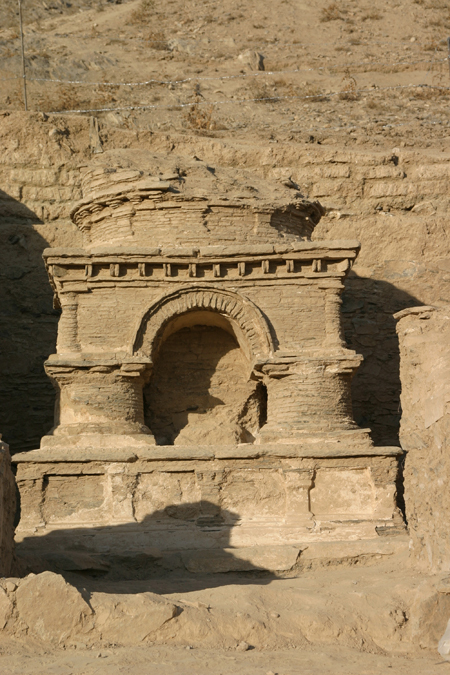 The recent excavations show that Kabul was still Buddhist in the early 11th century when Islam was already there in the current territory of Afghanistan. Tepe Narenj zone 14, unearthed in 2011. A Buddha sitting in meditation, in the foreground two columns “Pakhsa” adobe dating 8th, 10th century. Tepe Narenj zone 14, unearthed in 2011. A Buddha sitting in meditation and Bodhisattva standing in the foreground two columns “Pakhsa” adobe dating 8th, 10th century. Tepe Narenj zone 3 chapel 3 , sculptures standing against the south wall of the chapel, from left to right, bodhisattva, secular character (military) wearing boots and a secular character or princely type of sculpture Central India (all clay). 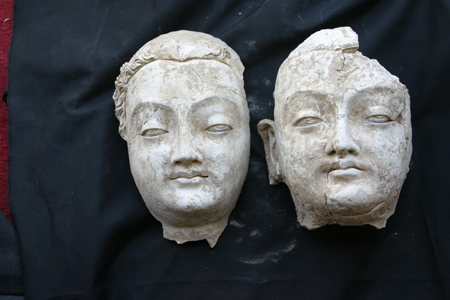 Tepe Narenj zone 3, chapel 4 – Heads of buddhas, clay stucco, 6th-7th century. Tepe Narenj zone 3 – Chapel 2 . A 4 stone columns stupa, the base is 2.06 m side, unique in the World until today – 8th/9th century probably 10th. Tepe Narenj zone 14, Buddha in meditation, discovered in 2010. Dating 7th 8th century. Written primarily in French and Dari but with a good summary in English. 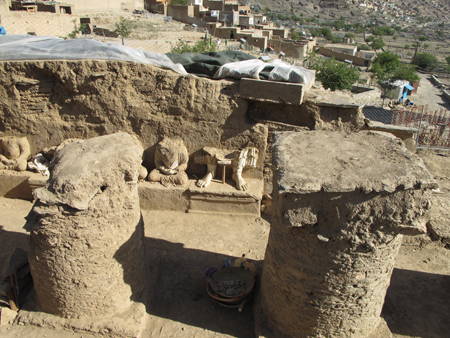 This is the final report of the Afghan excavations at Tepe Narenj , started and entirely directed by the author. Tepe Narenj is the name given to a rocky spur located in the Southern part of Kabul. It was entirely covered by Islamic graves when the dig begun. The ancient remains hidden under these graves are now entirely cleared and preserved. 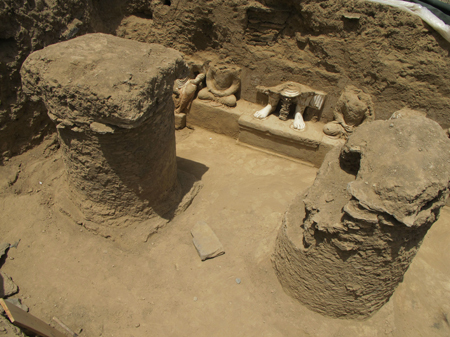 Two nearby places could also be excavated, smaller than the main dig, but yielding impressive results. 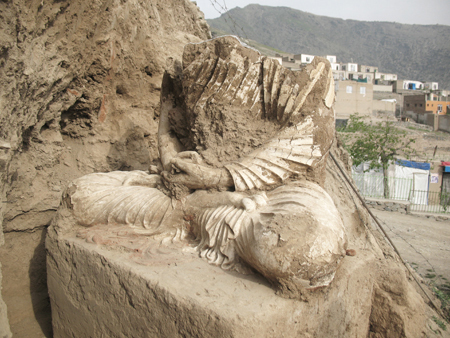 All the excavated buildings belong to the latest period of a huge mahasanghika monastery dating back to the 2nd or 3rd c. A.D., now entirely covered by multiple layers of graves belonging to one of the most important and revered Islamic cemeteries in Kabul, where it is now impossible to conduct archaeological excavations. 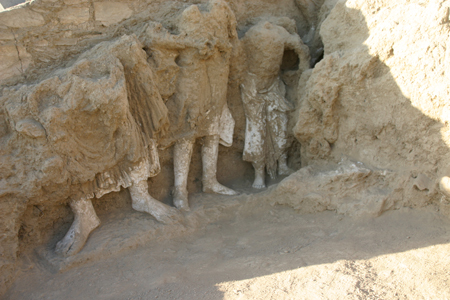 They were filled with colossal clay statues. The stratigraphic analysis and the coins demonstrate that most of these buildings and statues were made after 870 A.D., i.e. at after the first Arab raids against Kabul. This volume contains the description and the fullest possible illustration of the finds (buildings, sculptures, ceramics, coins). 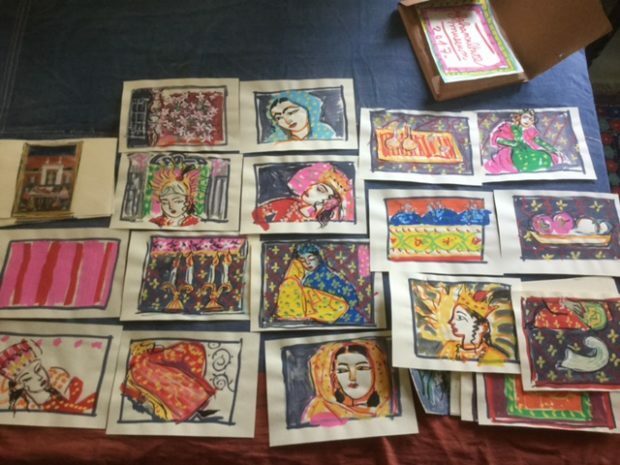 Volume II will contain the historical and art comments.